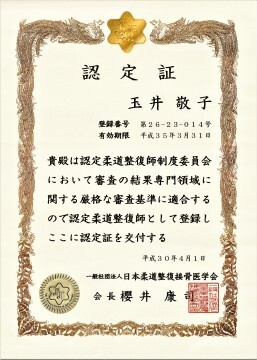 We are actively acquiring qualifications for technical improvement. 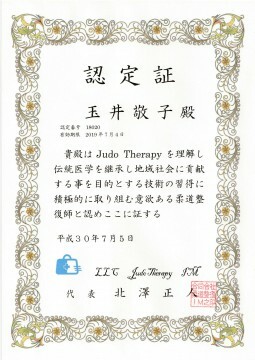 In order to provide a high level of treatment, we acquired qualification as a certified judo therapist. There are only a few people in the northern part of the Kanto region. Even if you are not satisfied with the examination of orthopedic surgery, I am building a system that can provide treatment. 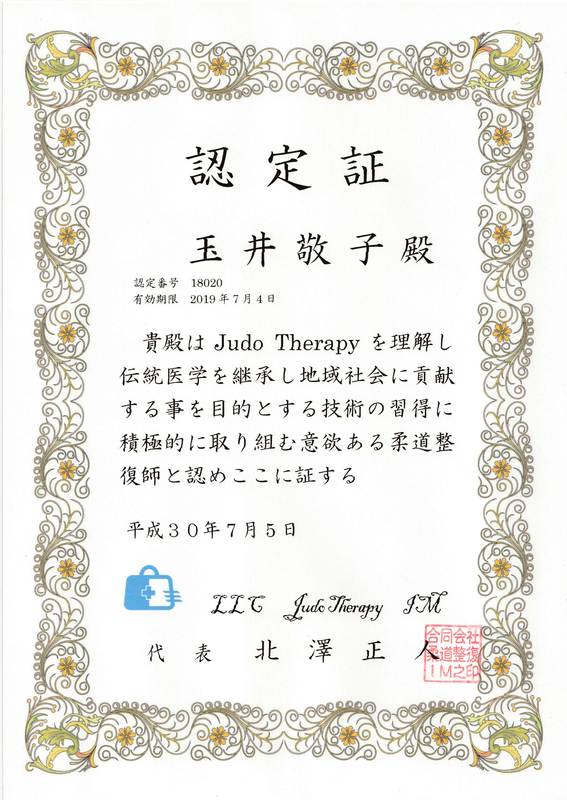 We have advanced equipment and advanced technology, so please tell me the pain.